Students race in the Girls’ Coaches Cup (courtesy Hitlin Photography). 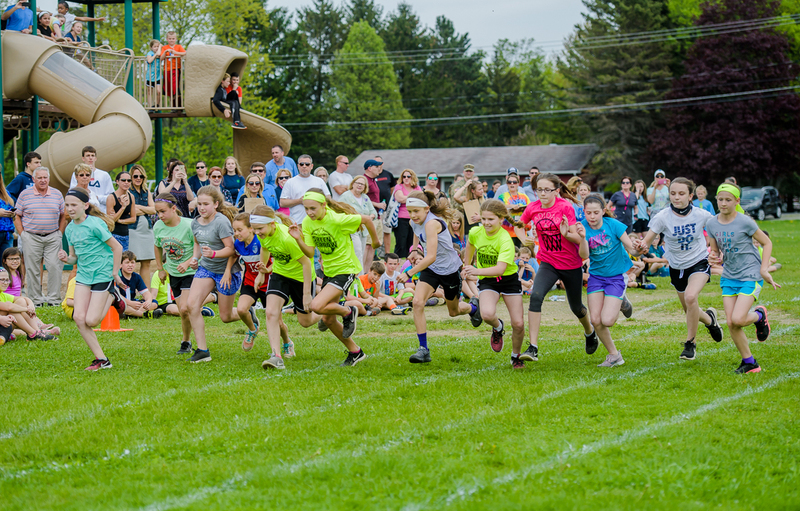 Green Meadow students in grades 1-5 participated in a variety of track and field events at their annual Field Day earlier this month. An impressive total of 30 students qualified to run in the Coaches Cup 300 meter race at the end of the day. Fifth grader Kennedy Ring won the girls’ race for the third straight year and fifth grader Dylan Maychack won the boys’ race. Kindergarten Field Day is scheduled for Friday, June 8.